Ablative laser treatment is the branch of laser skin resurfacing treatment and it’s the most effective way to treat aging issues in the skin. Ablative laser treatment is quite popular and there are many laser centers and dermatologist who are practicing in this field. The Ablative laser treatment will eventually vaporize the tissues of affected skin area with an intense light which reaches the deepest part of the skin, known as “epidermis”. For treating skin tissues dermatologist uses 2 types of Ablative Lasers. These type of lasers are very effective in treating skin dead tissues, and they will retain your skin health like before, but it cannot be used to removing wrinkles. However the ablative laser treatment cannot work on all skins, we urge you to kindly visit us so that doctors will deeply analyze your skin, and then they will further guide you. As you know the more we grower the skin gets older and older, and with the passage of time the wrinkles, spots and marks will have appeared on the skin. So ablative laser treatment is the only and fastest way to heal skin. There are many dermatologists which uses other lasers then ablative lasers, which target the outermost part of the skin but few of them will goes to the epidermis, which is the beginning part of scars, acne, marks, and spots. Many Patients feels pain after completing ablative treatment, but the pain is quite low so don’t need to worry. 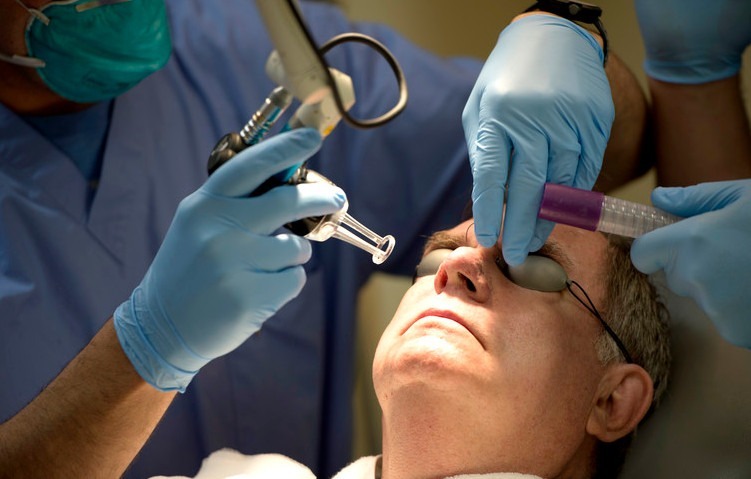 This Ablative treatment operation may take 30 to 120 minutes and while doing this, doctors may use some anesthesia, because the lasers need to work deeply in the skin. After completing the procedure doctors many also prescribed you to take some painkillers. Laser Skin Resurfacing treatment are divided into 2 sections ablative and non-ablative although the ablative laser is more invasive. Anyone considering laser treatments should not be hesitant look at this an option there are advantages to a blade of laser treatments. Several Types of ablative laser treatments are offered at Park Ave Dermatology laser center they include eye pixel erbium laser and Co2 laser resurfacing these methods have gains popularity in recent years as alternatives to facial cosmetic surgery they have all been approved for use in US now for well. Over a decade ablative laser treatments do require downtime in order to heal but are more able to deal with skin concerns the noninvasive laser wrinkles lines acne scars are able to be targeted skinniest tightness and pigment tissue issues erase. Laser candidates are thrilled to see youthful skin and a glowing complexion revealed as a result although the cost for a blade of laser treatments in more. The advantage is that the skin resurfacing can be accomplished in one session rather than returning each month for several laser treatments. What is The Cost of Non-Ablative & Ablative Treatment? The Cost of Treatment will be changed according to the patient’s skin condition and what type of lasers are used in treating the patient skin. According to the Research, the Americans Surgeons may Charge around $1,000 per session for non-ablative treatment. Ablative laser treatment will eventually vaporize the tissues of affected skin area with an intense light which reaches the deepest part of the skin, known as “epidermis”. In this treatment Co2 (Carbon Dioxide) and Erbium lasers are used. This treatment is done by radiofrequency or with other light wavelengths which can reach into the epidermis (deepest part of the skin). The strength of wavelength that can be used in this treatment varies from 1200-1600. Now it depends on your doctor which amount of energy he/she it also depends on your skin too. Who should get this Treatment? If you have following concerns then you can get this procedure. If you follow your doctor’s guidelines you can easily reduce the risk of getting these problems. However, if this problem occurs, don’t worry it will only be for 5 days. ← What Is the Difference Between Botox and Fillers and Which Should I Choose?